This CD contains the Workshop Service manual for the Hanix H09D. Each page is clear and you can just print out the parts you need. 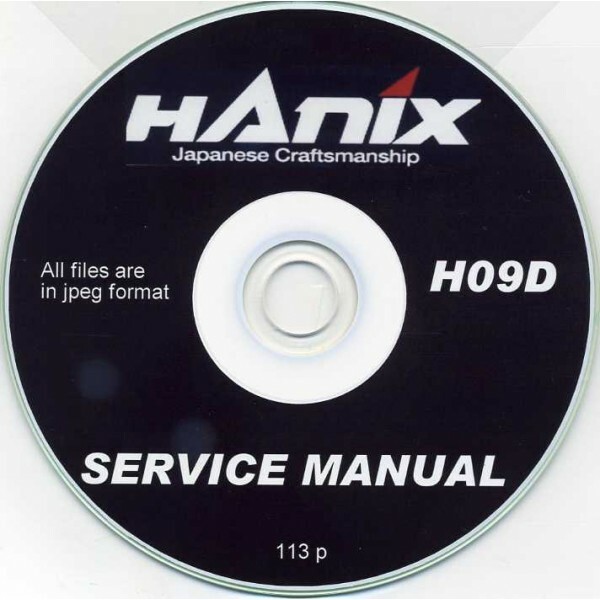 Many more Hanix manuals in stock.